If you are like the average person, then you are struggling to have more energy. And aside from sleep and regular exercise, eating the right food is the 3rd most important factor in how you feel. If you eat a larger than normal meal or a calorie dense meal, do you notice how tired you feel afterwards? This is what I call food coma. This is where you get extremely tired and you start to regret stuffing yourself, but it’s too late, the damage is done. You can barely keep your eyes open and all you want to do is crawl up into a ball and go to sleep. You can’t focus or concentrate on work and even a simple conversation takes effort. All you want to do is lie down. That’s how important food is for our energy levels. So many people have this experience on a daily basis. In fact, I was just like this during high school when I would gorge on fast food and pizza and junk. But this is not how your body should feel after meals. With the Vegetarian Lifestyle, you won’t be sleepy after you eat. In fact, you’ll be alert, mentally sharp, and physically ready to take on the world. By eating high nutrient low calorie foods, you will eliminate the side effects from food comas. I guarantee you’ll have more energy with the Veggie Meal Plans diet than you have on any other diet – simply because you will NOT be restricting your calorie or nutrient intake – in fact, you’ll be able to fill yourself up with our delicious foods. I love making smoothies because they give me so much energy in the morning. 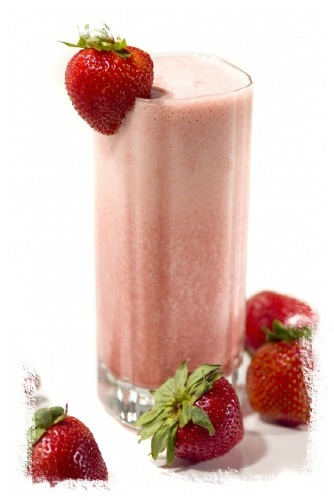 I’ll blend different fruits and vegetables with a little protein powder to make easy to digest and energizing drinks. I’ll also add a tiny bit of fresh ginger to give it a zing and anti-inflammatory properties. You won’t get the same energy or health benefits from a plate of bacon, eggs, and white-flour pancakes! I also love to make fresh, flavorful soups. And it’s easy too. I make soups in the blender or food processor, such as a simple tomato gazpacho soup, or Mexican green soup, or an Asian inspired coconut curry soup. These soups can be warmed on the stove or eaten at room temperature. These foods are full of life! I use everything from carrots, celery, broccoli, cilantro, basil, onions, coconut, apples, oranges, lemon, and a variety of spices. I make these really great wraps using a low-carb tortilla, romaine lettuce leaf, or a collard green leaf as the wrap shell. Each wrap is lovingly filled with fresh veggies like spinach, sprouts, green onions, cilantro, avocado, tomatoes, and then I add hummus, salsa, or herb seasonings/salt. I also make a pate from sunflower seeds and spices, tempeh, or seitan, which makes the wrap filling, very nutritious, and energizing! So get rid of the junk food in your diet and switch to a healthier way of eating that will give you more energy. Eat more fresh fruits and vegetables, and you’ll notice a difference immediately! I have been looking at your veggie meal plans and have a question for you. I am allergic to casein, soy, eggs, and borderline on the gluten (so I am avoiding gluten as much as possible). So may vege diets are full of tofu and soy-related foods that they are not useful to me. I am hoping that your meal plans will have more variety and more beans/legumes for protein. Can anyone provide any feedback on this matter? Do you have any ideas for a pescaterian?